Paella is Spanish for friendship, right? Well, it should be. Friendships seem to surround Spanish paella, both making it and eating it. Although it’s famous all over Texas and Mexico, it’s still a Spanish paella, not Mexican. In the late 1800s and through the 1900s, the term “Spanish” was sometimes used to mean Mexican, or Mexican American. Restaurants serving Mexican food called themselves “Spanish” because the term, Mexican, was considered pejorative by Anglo-Americans. Segregation, employment discrimination, and, yes, horrendous lynchings were the common life of Mexican Americans. Much has been written about the civil-rights violations of African-Americans in the South, but not about the violence committed against Mexican Americans. I applaud Mexican American restaurants who called themselves “Spanish,” because they are among the champions of the Mexican food of Texas, finding ways to serve delicious food within a complex, politically difficult environment. We love both Spanish and Mexican, enjoying festive Spanish Paella without ever confusing it with any of our delicious Mexican regional dishes that showcase chicken in a skillet like Calabacita con Pollo and, my favorite, Arroz con Pollo. 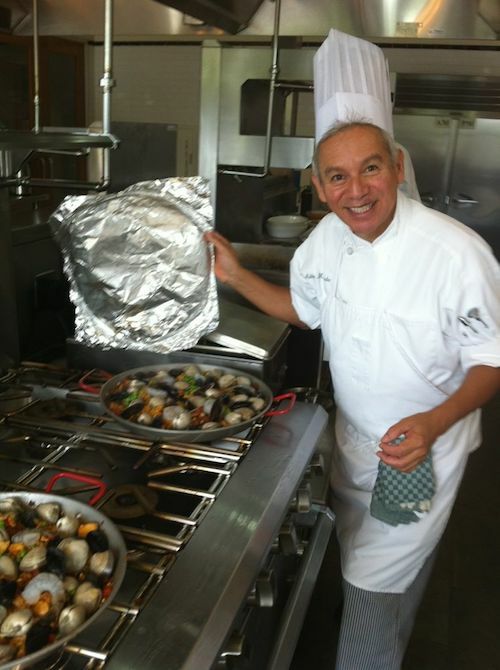 All of my Chicano Chef friends have their own very personal version of Paella. In Los Angeles, I spent a festive evening cooking paella with Art Rodriguez and Stephen Chavez of Latino Foodie. The picture above is Art’s recipe, echoes of Paella Valenciana. 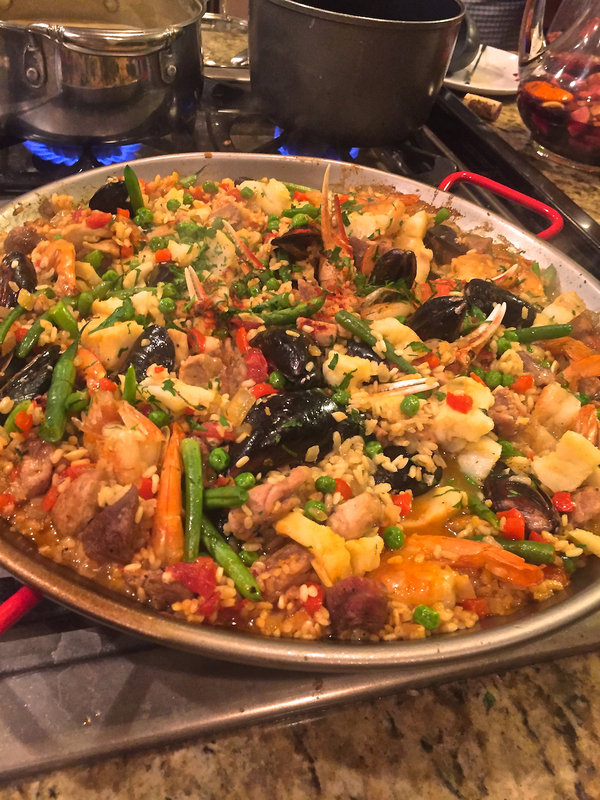 My own Spanish Paella recipe is one that I’ve made personal simply by using Texas smoked sausage and Texas Gulf coast shrimp. Brown the sausage first and then use the drippings to brown the chicken. Deglazing leaves you with a robust flavor addition to the cooking liquid. Paella is delicious, it’s for friendships.